Nivi did her PhD at Cambridge University and studies race, gender, and critical international theory. She previously edited the Cambridge Review of International Affairs. 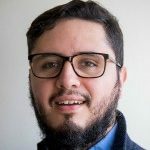 Javier did his PhD at University College London and studies political behaviour, comparative politics, social media, and political methodology. 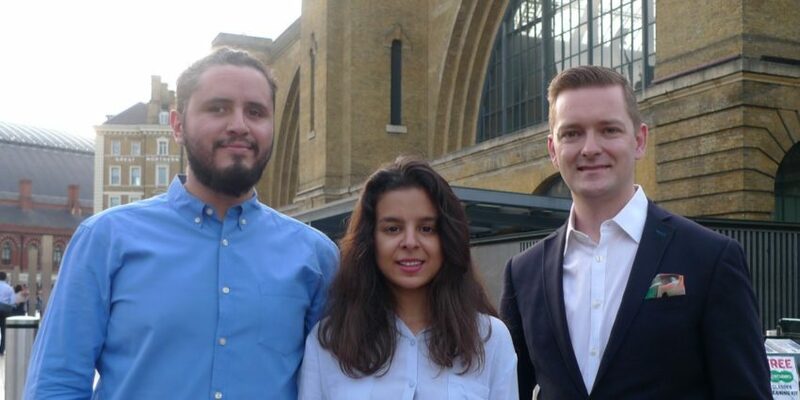 James did his PhD at the London School of Economics and studies the domestic politics of UK foreign policy, parliamentary conventions and war powers, and the Iraq War. We are all now based at Queen Mary University of London, where we are joined by our co-editors, Philip Cowley and Kim Hutchings. Philip studies UK politics, focusing on elites, elections, and parliament. He previously edited Parliamentary Affairs. Kim studies International Relations, focusing on ethics, feminist theory, and international political theory. She previously edited the Review of International Studies. We are further supported by a fantastic team of assistant editors. Our goal in taking on Politics is simple: to build on the good work done by our predecessors; Kyle Grayson, Martin Coward and their editorial team. We are inheriting a thriving journal, and have no intention of reinventing the wheel. Under our stewardship, Politics will remain a generalist journal publishing cutting-edge scholarship across the fields of Politics, International Relations and cognate disciplines. It will remain epistemologically, methodologically and theoretically pluralist. We welcome submissions that speak to current and emerging debates, that present state-of-the-field research from both scholarly and practitioner communities, that report the latest evidence-based pedagogical advances, and that present timely, original, high-quality primary research of interest to PSA members and wider academic and non-academic audiences. We also seek special issue proposals. At the same time, we want to broaden both what gets published in Politics, and who publishes it. We are especially keen to extend our geographical horizons. We still want to hear from scholars based in the UK and North America. Of course we do. But we also want more submissions from colleagues working elsewhere in the world, and studying topics other than the US and UK. We come from three different continents and work from three different epistemological standpoints. If you are working on politics, there is a place for your work in Politics. 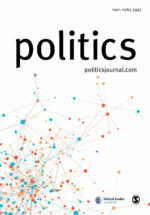 If you have any questions, you can write to us at politicsjournal@qmul.ac.uk. Or say hello next time you see us at a conference. 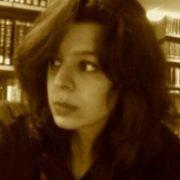 Nivi Manchanda is Editor-in-Chief of Politics, Lecturer in International Politics at Queen Mary, University of London and co-convenor of the BISA Colonial, Postcolonial, Decolonial Working Group. She obtained her PhD at the University of Cambridge at the Department of Politics and International Studies (POLIS). She is the author of ‘Queering the Pashtun: Afghan Sexuality in the Homonationalist Imaginary’ Third World Quarterly (2015, vol 36: 1), ‘Rendering Afghanistan Legible: Borders, Frontiers and the 'State' of Afghanistan’ Politics (2017, vol. 37: 4) and co-editor of Race and Racism in International Relations: Confronting the Global Colour Line (Routledge interventions, 2014).